Kellogg Community College’s men’s basketball team earned its first victory of the season over Trine University’s JV team Wednesday with a score of 101-78 at home in the Miller Gym. Leading the Bruins on the court were sophomore Tishaun Cooper, who had 20 points; sophomores Victor Sheffey and Davian Phillips and freshman Leveon Greene, who each had 13 points; freshman Dom Gibson, who had 12 points; and freshman Brandon Bellamy, who had 10 points. The win lifts the Bruins’ overall record for the season so far to 1-1. The team’s next game begins at 8 p.m. Friday, Nov. 16, against the University of Michigan-Dearborn JV team in Dearborn. 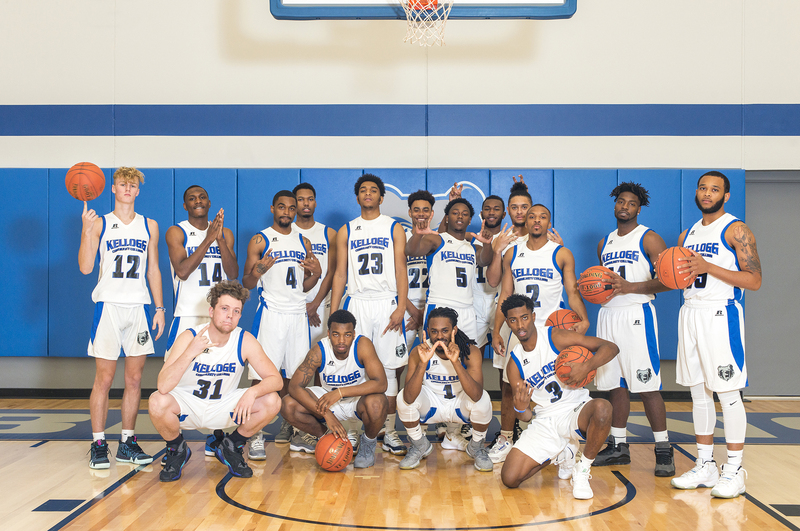 The Bruins’ next home game starts at 7:30 p.m. Tuesday, Nov. 20, against Owens Community College in the Miller Gym.